We LOVE a good deal, just like anyone, but getting up at the crack of dawn and drowning in the masses of holiday shoppers, just isn’t my thing (says Jen, Madi might say otherwise lol). Here’s our best Black Friday tips and tricks so you can still save tons of money without digging your family on Thanksgiving or getting up at 3am, to only find out what you want to buy is already gone. …you sign up for EBATES! It’s a free cash back app that literally gives you free money back on your purchases. eBates offers double and triple cash back offers from the popular retailers, all you have to do is make sure to click through their phone app or website link for your favorite stores BEFORE you shop! The Black Friday eBates double bonus is going on NOW. More bonuses start at 8PM EST/5pm PST TODAY! And HUNDREDS of more popular retailers!!
? ?‍♀️​ ??‍♀️​ ? ?‍♀️​I made the mistake of adding eBates AFTER my Black Friday shopping was done and realized I lost out on around $80 in free money. Not getting free cash back with eBates last holiday season was my #1 shopping error that won’t be repeated. eBates also gives you $10 cash back or a FREE $10 Walmart gift card just for trying their free app. Pretty cool! Get your list together before you shop. Know what you’re looking for in advance. The hot deals can sell out within seconds. 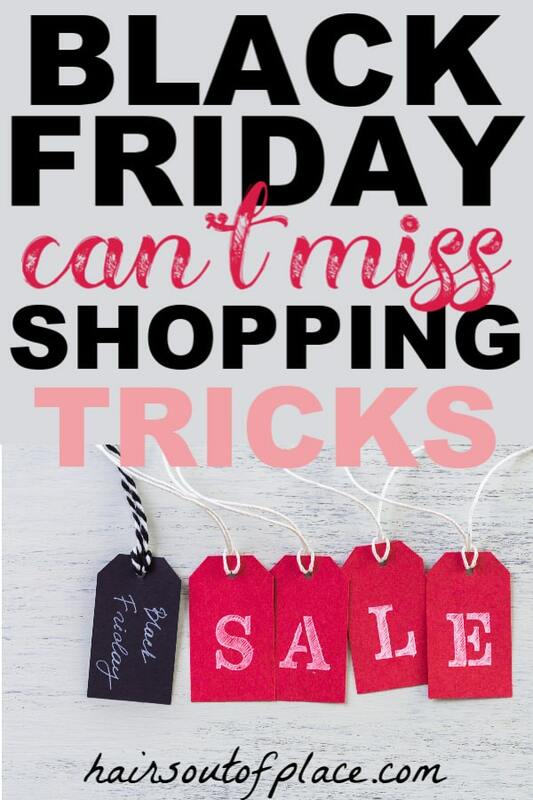 You can find out what the online sales will be through either your Thanksgiving day newspaper, or online sites like https://blackfriday.com. If there’s something on my shipping list that might be a good Black Friday deals candidate and I can’t find it in the ads, I’ll even just *search the item name* Black Friday sale 2018. My absolute favorite Black Friday hack that isn’t commonly advertised, is that you can get the SAME deals INCLUDING DOOR BUSTER deals online as in the stores…..
Let’s pretend YOUR FAVORITE STORE starts their Black Friday sale at 5am on actual Black Friday. Their ONLINE B.F. deals will start at MIDNIGHT EST—which means, if you’re on the West Coast, instead of dragging yourself out of bed at 3am on BF to find the latest electronic gadget your kid wants or that new door buster vacuum for yourself, you could buy it ONLINE at 9pm the DAY BEFORE. When I discovered this a few years ago, it was a total holiday shopping game changer! Literally, within 10 minutes, by 9:10PM, I had all of my BF shopping done on Thanksgiving night after family had already left and I was cozy on my couch inPJ’s. And if you’re on the East Coast and are cringing that you can’t access the deals until midnight, you’ll just have to decide if you want to stay in Jammie’s at home and shop within 10 minutes or if you’d rather wake up at 3am with the sleep deprived masses. BONUS! Some retailers are starting online Black Friday deals early TODAY, so get that shopping done and out of the way early! Make sure the store you’re shopping at offers the early online pricing. It’ll be buried somewhere in the fine print on the ad or on their store website. To date all of the stores I shop at do this, but they doesn’t mean there couldn’t be an exception, so check the online store details first. 1. Make sure you’re registered for eBates. You need to CLICK on the store link in eBates to get to your favorite stores BEFORE you shop. You’ll need to do this for every store you’re doing your online shopping at. 2. Register and/or login to the store you’re shipping at, just keep them all up on your screen. You DON’T want to miss a deal simply because you weren’t logged in to shop! 3. Put the FULL PRICE item that’s GOING on sale in your shopping cart. The second the sale is active on their website, the cart price should reflect the sale price. 4. And then the SECOND the clock changes to the time the online sales start, again most likely midnight EST, press the button the finish your transaction. And you did it! You actually got those hot items this year without actually leaving your house! And now you can go back to watching Elf or drinking some well deserving spiked eggnog. 6 Easy Ways to Earn Free Gift Cards! P. S. Come hangout with us!